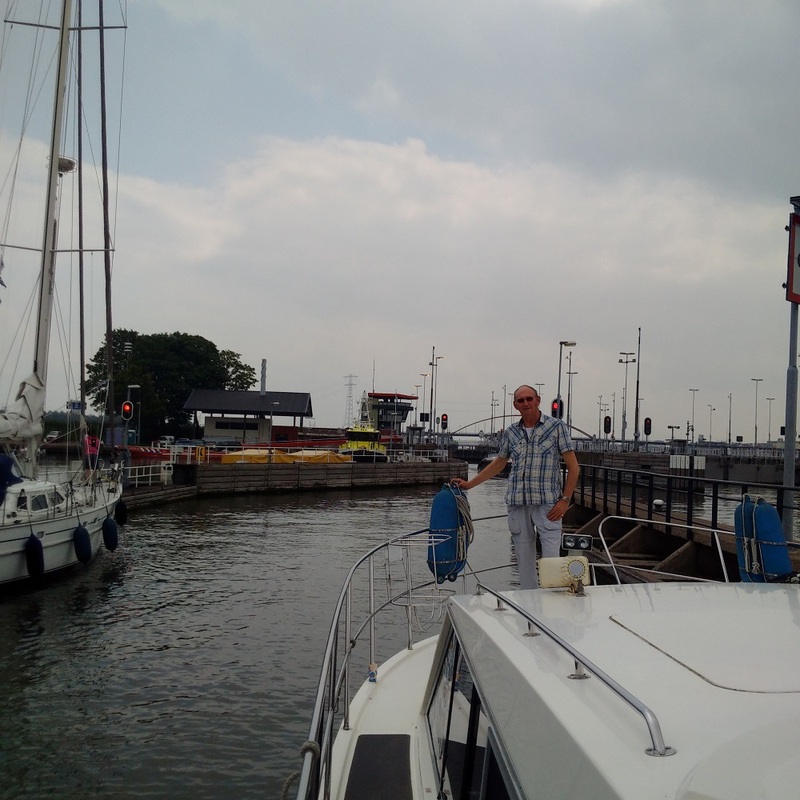 This was a lovely day cruising in the sunshine from Amsterdam into the Markermeer and then around Marken Island to berth in their harbour right next to shell beach so that Max could have a swim to cool off. We then took a nice walk through the resort and sat with Max as he had a bone and us a beer! My night was reasonable but I was up before 6am, despite the sleep I had been missing lately. I was able to walk Max with a little difficulty and the return to the boat to start to get us organised for the cruise ahead today. 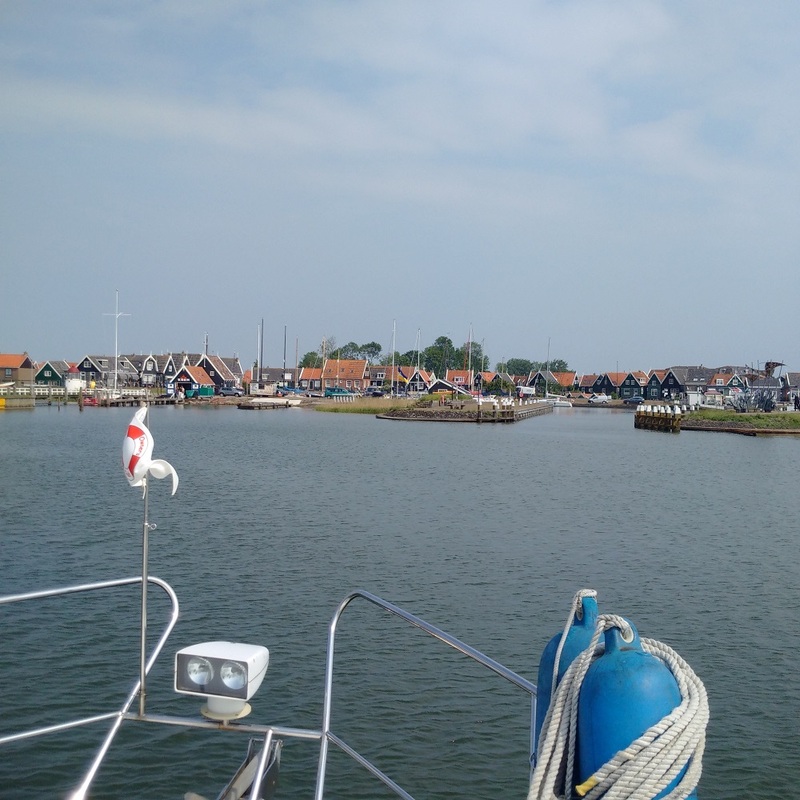 I had considered various options but opted to take the 18nm, three hour, journey to Marken as I thought that Kathleen would like it there and that proved to be absolutely right. It was a steady cruise but the wind was light and on the bow and so it was very comfortable the whole time. I brought Lady Martina into harbour and right alongside the harbour wall so that, once we were all secure, I could let Max out of his box and to start swimming to cool down on the adjacent shell beach. I threw the ball into the sea around ten times, by which time he was very wet and quite cool and then, this done, we secured Lady Martina and then took a walk together. We ended up on the terrace of a bar overlooking this old fishing harbour and enjoyed a beer as he enjoyed a rawhide ‘bone’. We stayed for some time, gave Max another walk or two, and then put him to bed for the night. Later on, the harbourmaster came by and only charged us some €31 for two night’s stay; that price including free 10amp electricity, water and WIFI. Kathleen did some washing and I put up the line to enable it to get almost dry in the evening’s sun and breeze and then we came inside to carry on working.